Subject description: Electronic jams from me and my collaborators. I've been doing electro jams with my sax and looping for several years. And I've been doing collaborations with a variety of other artists. I'd like to start with a project I call "Dr. Wax & Sax." This is Damien Hayes aka DJ Law, the Turntable Jedi. We did some recording last time I was up in Eugene, OR. Pretty funky stuff mostly. Dr. Wax is on turntables, I'm on sax with loop station, effects, and KP3+. We had a ton of fun doing this. This is Ambient Space Sounds. Just me and a synth making some haunting and beautiful tracks. I really thought there was a lot of emotion captured in these tracks. They streamed fairly well for about a year and a couple of them still get some listens. This is a great album to put on for sleep - or if you like epic, ambient, space sounds. Posted: Sat Mar 31, 2018 10:49 am Post subject: O.M.N.I. Here's one I'm really proud of - O.M.N.I. This started a long time ago, in a hippy-town far, far away. This is also the same project that I met DJ Law on and even have DJ FlipFlip on it. Zach did some turntables, but we also did some samples, and he did some programming and we started messing around with effects. Most of that work is the 2nd half of the album. It was a precursor to NuFunk and Electrodub and we had no idea what we were doing other than trying to have fun and make music we liked. I love this release - it's crushingly funky, got a ton of reggae influence and is electro-dubby all day. I also used some nice guitar pedals on my sax for all kinds of fun. By this time, Zach had written storylines for the recording, started to develop characters and took a much larger role in producing this recording. He also brought in Ben Hicock as partner in the group. Again he took the tracks back and worked his arrangement magic on them - although it didn't take a year. We also bounced a fair amount of files back and forth - overdubs, new tunes, etc... and Ben really added a lot. Zach has about 20 tracks ready to go and will be down in Texas in June for the next installment. Looking forward to seeing what he's got and where we go with it. It's been a ton of fun working on this project, seeing it develop, bringing in another partner, guest artists. It's not just god music, it's fun, it's fulfilling, and we really care about it. Some of the ideas/tunes I've reworked a little and use them in my solo looping show, I've recorded a couple with other projects... it's just a good time. While we don't have videos for every tune up, we are occasionally making videos for all three releases. So it's fun to revisit the early stuff and try and get more ears and eyeballs on it. It's pretty creative and interesting. If you like funky music, reggae, electro-dub, dub, etc... you should really dig this project. Subject description: Next group - Noise noise noise!!! So this (so far) has just been a solo project. I call it Widespread Noise. It's really more of a catch-all for noise, ambient, avant-garde stuff that I can't really put out under my own name. I've got some my jazz and jazz related things out that I felt like I need to create something else to release different kinds of stuff. This is intended to be wide ranging in what I'm going to present and it is intended to feature guest artists for collaborations. 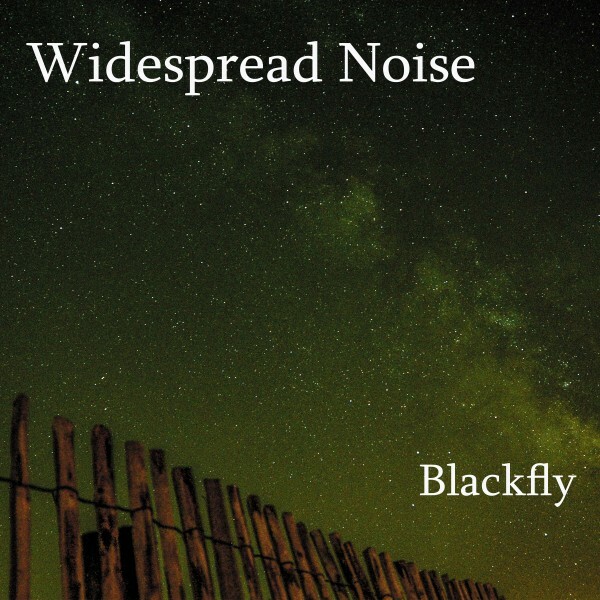 Blackfly - which is a noise album using the Blackfly from Electro Faustus with some beats and filters provided by my kp3+. So far, this project is a ton of fun as it's an exploration of tech and sound. Lots of newness and surprises. And there's the whole exploration of sound thing as well. I've got some more tech I'm experimenting with for other recording projects and hope to be getting back to those in a few months. This is currently my favorite electronic collaboration. We're a duo doing NuJazz/Livetronica. 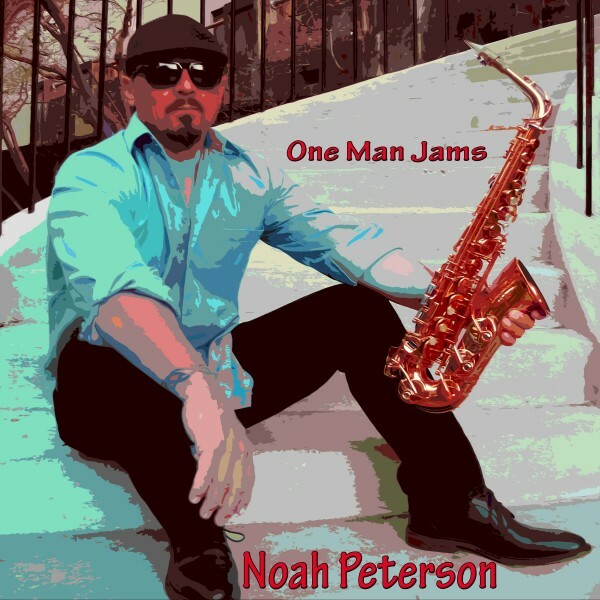 Some people have called it smooth jazz with an EDM beat. That's not quite accurate, but it's close enough. My partner is Johnny Carrera on Laptop and guitar and me on sax, KP3+. KAOSS Pro, and some pedals. My gear is sync'd to Ableton Live on the laptop and a guitar. We have some pre-programmed tracks that Johnny controls with Ableton. He triggers the different sections of the songs and we take turns playing over top as soloists and playing together. I'll do looping and sampling as a solo, underneath Johnny, and to lay down additional backing parts. Sometimes we get complex and sometimes it's simple. Here's a great live video from several months back. We're opening up our show at Tacoland in San Antonio, TX. We record a lot of our shows and release digital albums on a somewhat frequent basis. Our first release is "Bright Lights, Big City" and is here on Spotify. There's some boo-boos on here, but it was an early capture of some live jams that we were pretty happy with. I still enjoy this entire recording - mistakes included. is clearly better in terms of familiarity. Still sounds great, lots of interplay, new tunes, and 100% live. I spent weeks listening to this over and over in the car. 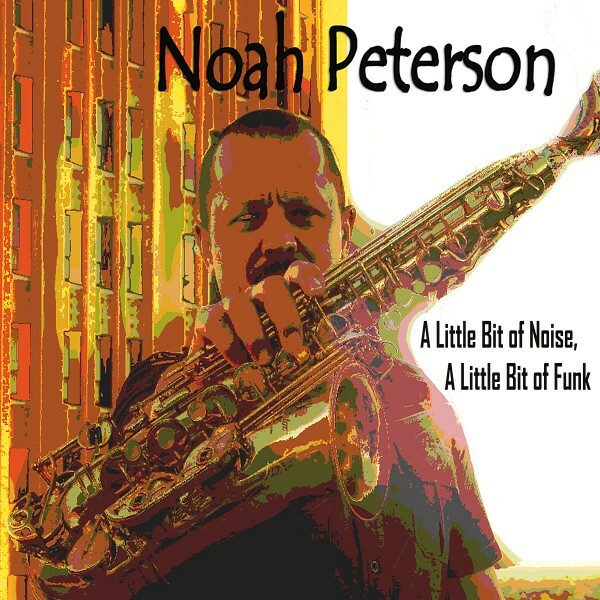 All in all - this is very much smooth jazz/easy listening/electronic music. We dig it quite a bit, we have a musical residency playing 3 times at month at Halcyon in the Southtown neighborhood that we've had for over a year. And now that I've pretty much stopped touring, we're going to push this project more. We also bring lights and a visual projection to add interest to what we're doing. This is a great background thing, with enough going on for people to focus in and really listen and sometimes people get up and dance. I don't know where this is going exactly, but I know we'll be doing it for quite awhile. I'm always working on producing content. And while it's awesome to post my blasts from the past on here; I really wanted to be posting new things. But I think some context and history is always a good thing - so I started with some older stuff. as a music fan, I've always a enjoyed hearing bands/artists develop (even if I didn't like the "new" stuff). And while spring in Texas is a very busy time for me, my obligations are winding down and it's back to content creation! Yay! Of course I have all the usual stuff: twitter, facebook, instagram, google+, tumblr, spotify, youtube, etc... but it's fun to have a new place to post my goodies, or in this case, noisies. Here's two new videos from Widespread Noise off of the Drone release. I really enjoy going back and working on videos for these things as it forces me to get back INTO the music. It's not the same as listening. It's really working on and with the music. I get to rediscover the sounds, remember the creative moments, and evaluate how it came out. These days, there's a lot of joy in that. I love new sound toys and making all kinds of music. Enjoy these noisy clips. All made with the Drone Thing from Electro-Faustus. Keeping up with the new stuff... this is a basic stepper. Really love the groove and the backing horns. Had some fun with the video. Reggae/Electro/Electrodub/Raggamuffin/roots - an eclectic electric mix. Here's my first live looping recording. I call it the Solo Sax Sessions. This was my first looper (that I kept) the RC-50 along with some effects pedals. I have some Tropical jasm, jazz, blues, rock, Latin, African, and a couple of jams written specifically for loop station. I had a lot of fun writing and arranging these tunes for loop station and had performed them hundreds of times all across the U.S. before recording them. The recording itself was a pretty lo-fi, "project studio" but the performances are ferocious. I still enjoy listening to this project. Some of these are really great. And it's unedited, all live, all done in one session, and all just me. I do like to make music. All kinds. I've been messing around with and listening to electronic music across a wide spectrum for quite a while. Mostly the listening comes from friends who are hard-core fans of artists or genres or into a scene. I just ride the wave for whatever the current flavor of the month is. And since I'm always messing around with devices, I get a fair amount of discovery going on, plus my bandmates, plus my noise peeps. I was on a break at a show on Thursday and a guy at a bar asked me what I listen to. I said mostly to whatever I'm working on at the moment. He and his buddy didn't like that answer... one dude even muttered "you don't have a radio." In my mind I'm thinking, "Sheesh dude, why did you even ask? Why don't you just tell me what you like to listen to?" I've been thinking about that over the weekend and unless my wife is in the car. I don't listen to the radio. She can only take listening to the same thing over and over so long. But I'm trying to get songs in my head, get ready for recording, trying to come up with ideas, get focused on things, listening for what worked and what didn't. And how to employ technology in in the music. 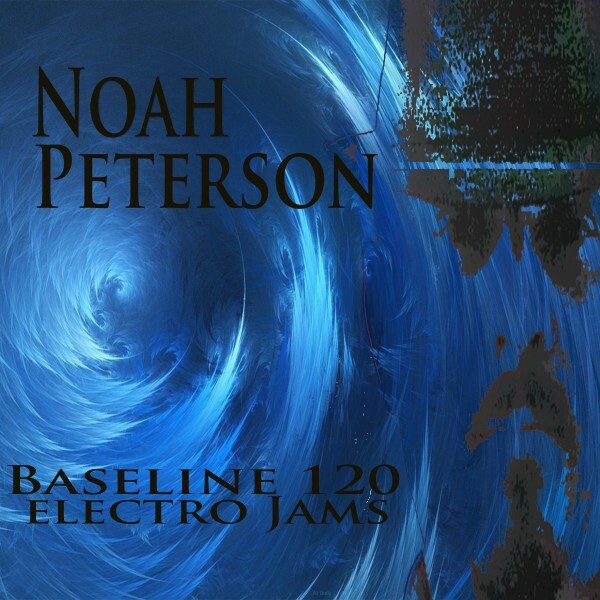 Which brings us to Baseline 120: Electro Jams. I've got a KP3+ and KAOSS PRO that I used in GrooveTronX (www.grovoetronx.com). I've also, until recently, not had any time to get into my new DAW - Adobe Audition. I'm not really one of those guys that's like, "I've gotta get my 3 hours of practice in today!" In the moments that I have to "practice" I prefer to do. And I believe learning by doing is the best way when time is precious. And I could stand to be more familiar with my gear. Always. So I plugged in my two pads and thought I should get familiar with them and Adobe Audition at the same time. I thought it best to set some parameters to limit myself so I didn't get overwhelmed. 120 BPM, no additional gear - just the 2 pads, try to not use the same beat or sounds and don't make an epic recording of 20 tracks. So I took a few nights and knocked out this jam. Really enjoying the Pads, but finding limits that are creatively frustrating although the two of them together are robust and I find I hardly ever use the many, many filters on the KP3. I should work on that. Really liking Adobe Audition - pretty simple to get it up and running and I have yet to really dive into it. But very much liking where I'm at with it now and looking forward to getting much more into it. The result: An EP of 120 BPM jams. There's some hooks, some electro-noise. All in all, I dig it. There's a couple of wicked lines buried here and there. Kinda trance-like in the repetition and arpeggios. Everything is loop based. Enjoy! 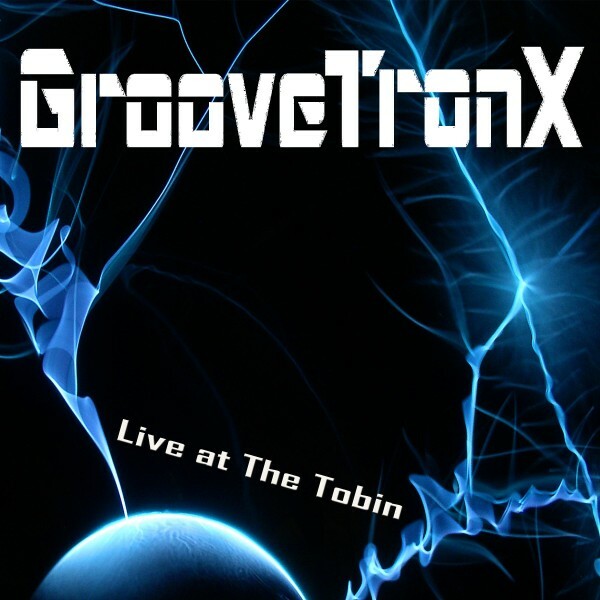 One of the things we're doing with GrooveTronX (www.groovetronx.com) is recording many of our live shows and releasing cuts from them. Most of these come from our residency at Halcyon, but we do play other spots here and there. 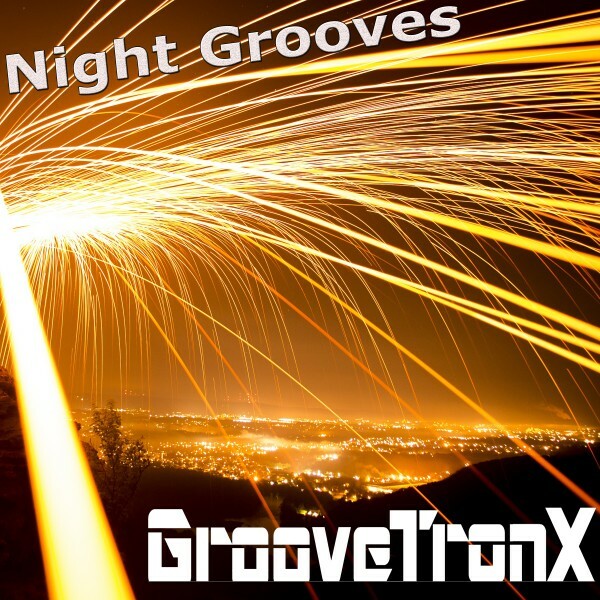 Our latest release is "Night Grooves." It's fun for us to put out so much material. It's also fun to listen to the work develop. And we don't have a ton of redundancy of material at this point. Although if we keep this up we're going to be the Grateful Dead of Nu Jazz. What I like most about this recording is how much I'm using the KAOSS Pads. I'm getting more comfortable with them. Still need a lot more work with them to be fluid and speedy. It's also got a lot of streched out jams. 6 tunes and it's over an hour of music. wow, no replies and not even a welcome, let me fix that first. ok now to listen to some of the music,..
and increasing the volume throughout. I often don't like sax but I definitely liked this! I am currently enjoying O.M.N.I. Love it!!! I'm not your typical sax player. And I like working with people that get me into stuff that's different. Here's some stuff from DJ Law aka the original DJ Law aka Dr. Wax aka The Turntable Jedi. This dude is ridiculous....super talented, super amazing. And he dabbles in all kinds of stuff. Here's two of his singles: House This Sucka and Smokey Daze. For the past few years, I've felt like I've grown "stale." I'm sure most of you who have been doing this for a while know what I'm talking about. It's tough to feel like you're producing something new and interesting sometimes. Although when I record and listen back to some of the good ol' "moldy oldies" I'm usually pleased with how not old and stale it is. It usually sounds pretty tight and fresh. So that helps with performance. But it doesn't satisfy. To help with this, rather than delve into some method which involves pushing myself into new spaces or disciplining my self to a regimen which forces me to create, I've chosen to collaborate. Kinda the lazy way to do it, but kinda the better way as well. After all, somebody else and their influence is gonna pull a lot more outta me than I'm ever gonna pull outta myself. And I've got a handful of fun and creative bandmates who are more than happy to get down and get ridiculous. And that helps tremendously. For the first of these, I brought in my bandmate from West Kings Highway (70s covers and original band - www.westkingshighway.com) Matt Wolff. He brought over an electronic drum kit and just wanted to jam. I'm like - okay but I'm gonna record it, I've got a couple of things I want to try and let's just see where things go. So....we plugged in and out popped this little gem. "A Little Bit of Noise, A Little Bit of Funk." This is "Too Funky For Words" off of A Little Bit of Noise a Little Bit of Funk set to some dope surfing footage. This is "Champagne Kisses" off of Baseline 120: Electro Jams set to some breakdance battle footage from the 2017 Queen of the South contest. 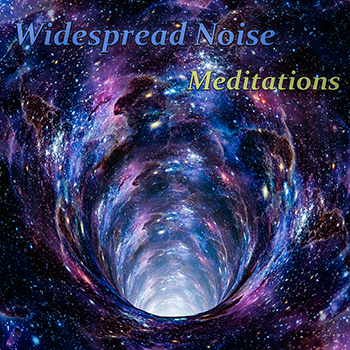 Here's a new one from Widespread Noise. Been playing around with a new synth and found some fun sounds. The latest live looping effort from me - "One Man Jams"
This contains two tropical songs that I've been playing for a couple of years, four "jams" that are really just sketches of melody that I've been playing since I really got into looping and one completely improvised jam that I love called "Wade in the Water." I've been meaning to record some of those jams for years and finally got around to doing it. It's funny how they have changed over the years. 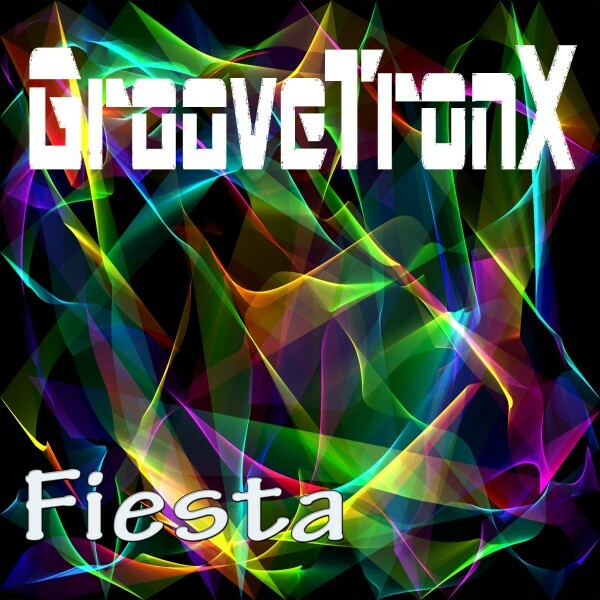 This is a fun romp through some of our favorites with extended jams live at Fiesta de Los Reyes at the Historic Market Square in San Antonio, TX for Fiesta! This was recorded in mid-April, 2018. Fiesta is a huge cultural event in San Antonio. It's solo purpose is to commemorate the battle of San Antonio Mission de Valero - known to all as "The Alamo." This 10 day (occasionally 18 day) celebration features over 100 Participating Member Organizations which present their own Fiesta events which include dancing, concerts, food, fairs, parades, art fairs, folk arts/music presentations, contests, much more and Fiesta Medals! Some of the larger events are NIOSA, Oyster Bake (2 days, 80K people) King William Fair (1 day, 50K people), taste of New Orleans, Fiesta de Los Reyes, along with an unknown number of unofficial Fiesta events such at the Castle Hills Festival which comes complete with fair, fun run, parade, and concert. Over 3 million attendees come to Fiesta events making it twice as big as Mardis Gras in New Orleans. Fiesta de Los Reyes runs the entirety of Fiesta at "El Mercado," is a free event, and has two large stages playing rock, conjunto, tejano, cumbia, and more generally featuring larger and well-known niche bands. They also have two to three other stages strewn about the main shopping strips lined with food, art, and merchandise vendors. These other stages feature a hand-picked line-up of local musicians which shake, rattle, and roll attendees from 11am to midnight every day/night of Fiesta. This is from our Monday afternoon jam. Johnny and I stretched out and watched the crowd. If people stopped to dance or listen, we just kept cooking the groove. It was a great time. I enjoy listening to this jam as it brings back great Fiesta memories! Looking forward to doing some more of this - the old schedule is a bit intense these days and will be through the end of the month.... oy. 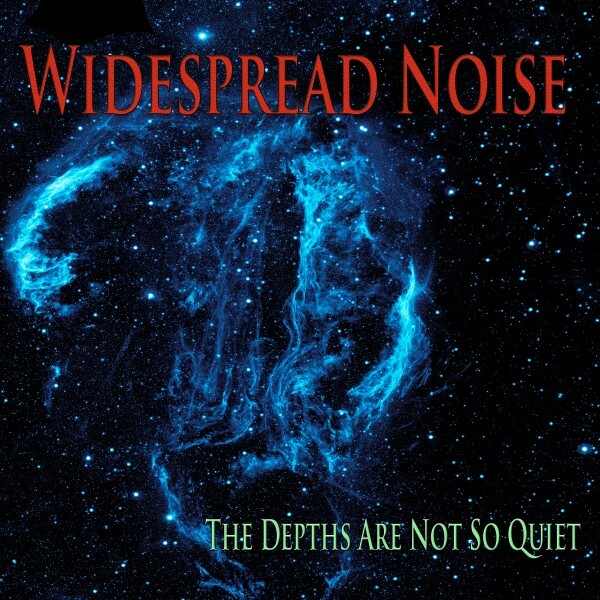 The newest release from Widespread Noise is out! This was a live accompaniment to a Yoga in the Park morning session at King William Park celebrating "A Day in Southtown." interesting, and amazingly diverse in technologies and styles. the Southtown hood at El Luchador (622 Roosevelt) and will be packed with talent and fun featuring Texans, U.S. artists and our guests from abroad. performances from previous festivals are there along with facebook links for those who want to personally interact with the festival and performers.